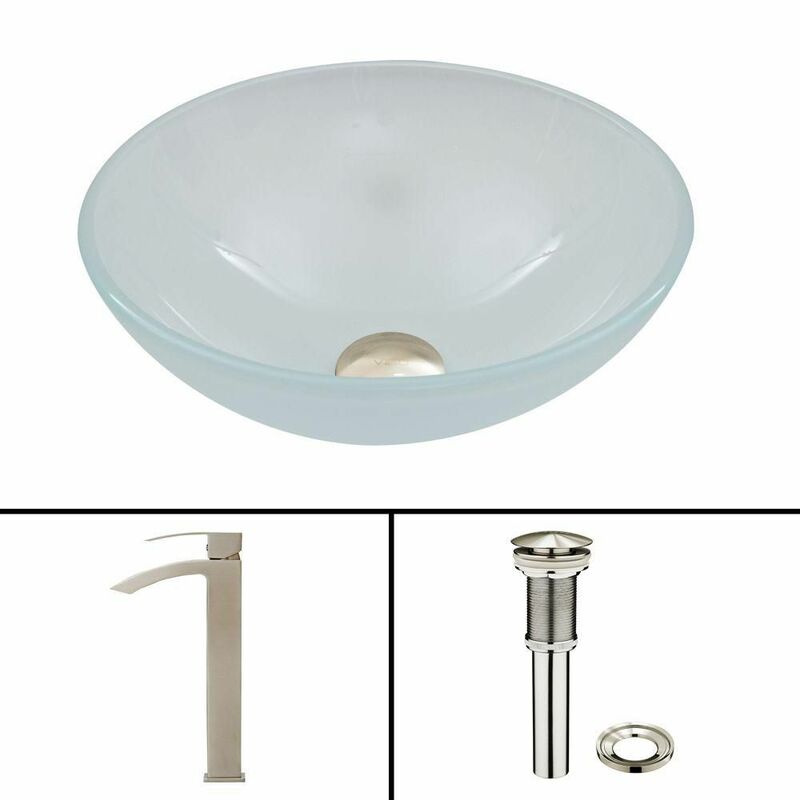 Glass Vessel Sink in White Frost with Duris Faucet in Brushed Nickel is rated 5.0 out of 5 by 1. Rated 5 out of 5 by lakelady from Vessel Sink I felt like it was Christmas morning... so excited to get my vessel sink... it's exactly what I wanted!!! It's awesome...now I can finish my bathroom.